This week we continue our creativity and building theme. 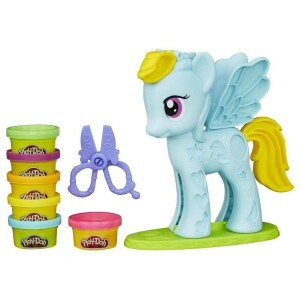 If you’re a My Little Pony fan—or you have one under your roof—you’ll love the Rainbow Dash Style Salon. It’s a little reminiscent of the Play Doh Disguise Lab that we reviewed last week, where you put your favorite Minion into the styling chair and made wild and crazy hairstyles. With this style salon you can still grow, cut, and style your pretty Pegasus’ hair. But that’s just the beginning. The body and wings are actually built-in molds that you can fill with Play Doh to decorate your little pony using the six included colors (or, you can mix them up to create completely new colors). Sam had a toy like this when she was little and it was a favorite. It’s not the fanciest toy—and it’s certainly not the techiest. But it’s fun, creative, and a great way to create build memories that you and your child will cherish for years. For ages 3 and up. Retails for about $18 on Amazon.com and other toy sellers. If you like Bun Buns (reviewed last week), you’ll also like Stackins. They’re soft, cute, stackable, collectible, and reasonably priced—what could be better than that? 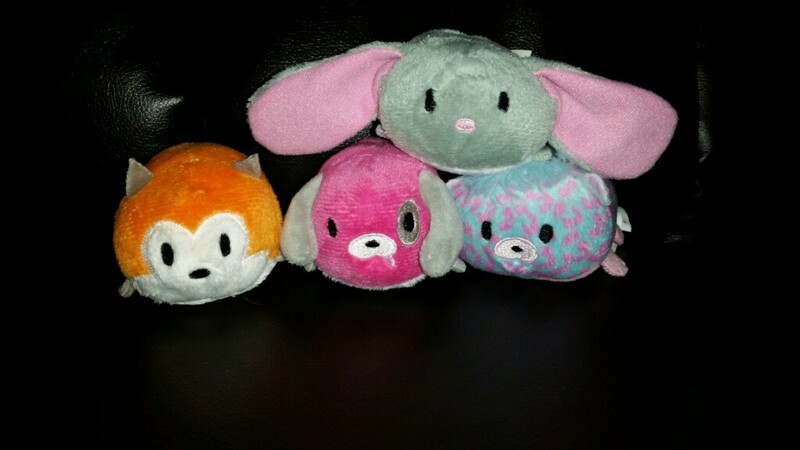 Right now there are four characters: Poppy the Puppy, Checkers the Cheetah, Bonny the Bunny, and Kiki the Fox. But Funrise has several dozen new characters about ready to hatch. They also have plans to introduce larger size Stackins. To keep your child busy ‘til then, there are games and coloring pages on their website, http://www.funrise.com/stackins/. For ages 3 and up. Stackins retail for $7.90 and they’re available exclusively at Justice. Still haven’t had enough of Spongebob? Not to worry. 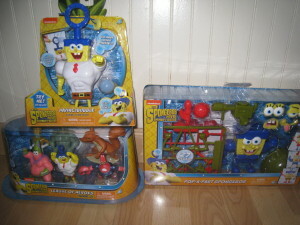 The Spongebob movie, “Sponge Out of Water,” has spawned a huge array of Spongebob products, including the Pop-a-Part Spongebob ($11.50), Invincibubbles Talking Action Figure ($15.80), and the League of Heroes Figurine Set ($39), all of which provide everything you could possibly need to build an amazing adventure with the one-and-only wisecracking sponge. If you’re a Spongebob fan, we’re guessing that you’re already on the way to Toys R Us or wherever you buy your toys. If you’re not (yet), Spongebob and his buddies are really hard to resist. And you truly haven’t lived until you’ve seen a sponge with a six-pack. 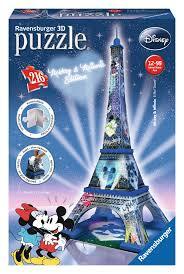 This entry was posted in Reviews and tagged 3d, eiffel tower, my little pony, ravensburger, spongebob, stackins on May 1, 2015 by Parents@Play Team.